Dubai, UAE, 7 July 2017: The Water, Energy, Technology and Environment Exhibition (WETEX) 2017, organised by Dubai Electricity and Water Authority (DEWA), under the directives of HH Sheikh Mohammed bin Rashid Al Maktoum, Vice President and Prime Minister of the UAE and Ruler of Dubai, and under the patronage of HH Sheikh Hamdan bin Rashid Al Maktoum, Deputy Ruler of Dubai, Minister of Finance and President of DEWA, has cemented its position as one of the largest specialised exhibitions in the world. The exhibition is an annual opportunity for regional and international organisations, institutions, and companies specialising in energy, water and the environment, to show their green solutions and products. For the fourth consecutive year, WETEX 2017 will be organised under the umbrella of Green Week, as it coincides with the second Dubai Solar Show, and the fourth World Green Economy Summit 2017, with over 80 speakers from around the world on various aspects of green economy, smart cities and innovation. The three-day exhibition will be held from 23-25 October, 2017, at the Dubai International Convention and Exhibition Centre. WETEX has developed rapidly since its launch in 1999 as an exhibition of water management technologies. The energy sector was added in 2001. In 2004, DEWA expanded the sector to include environmental and waste management, green buildings, and carbon dioxide reduction solutions in 2008. In 2012, oil, gas and coal were added to the exhibition's fossil fuel sector. This was followed by the addition of the Dubai Solar Show, in 2016, as the biggest solar exhibition in the region. WETEX includes a range of activities related to the consumption of water, energy, and environmental conservation, waste management, green buildings, as well as the latest cutting-edge solutions to lower carbon dioxide emissions. The exhibition provides a unique opportunity for investors and sponsors to build business relationships, enhance business opportunities, and meet with leading companies and decision makers from around the world on a single platform. In addition, the exhibition provides an ideal business platform to display advanced water, energy and environmental technologies. It is a meeting point for experts, solution providers and investors, as well as decision makers and consumers from the public and private sectors. 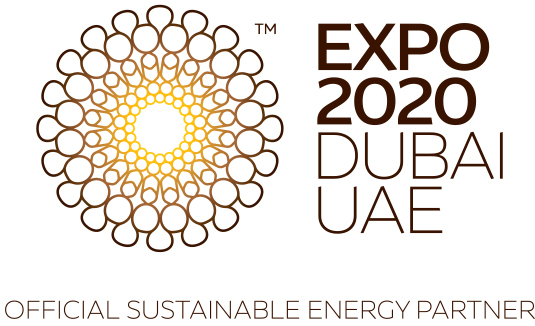 “The exhibition adheres to the clear vision of the concept of sustainable development, laid out by His Highness Sheikh Mohammed bin Rashid Al Maktoum, Vice President and Prime Minister of the UAE and Ruler of Dubai, who in 2015 launched the Dubai Clean Energy Strategy 2050, to provide 7% of Dubai's total power output from clean energy by 2020, 25% by 2030, and 75% by 2050. WETEX serves as a leading platform for regional and global experiences, overviews of disruptive technologies, cutting-edge technologies for energy and water conservation, clean energy research and development, and applications to help transform Dubai into a global hub for clean energy and green economy,” said HE Saeed Mohammed Al Tayer, MD & CEO of DEWA, and Founder and Chairman of WETEX. “WETEX promotes partnership opportunities between the public and private sectors to develop renewable energy, diversify its sources and build strong investment relationships according to the highest international standards, to support clean energy projects and solutions, and stimulate innovation to meet the future needs of a green economy that has a reduced carbon footprint and tackles climate change and achieves energy efficiency,” added Al Tayer. “We would like to thank our strategic sponsors, platinum sponsors, gold sponsors and media sponsors for this important economic event, and all the media organisations that are prominent supporters of the exhibition,” concluded Al Tayer.